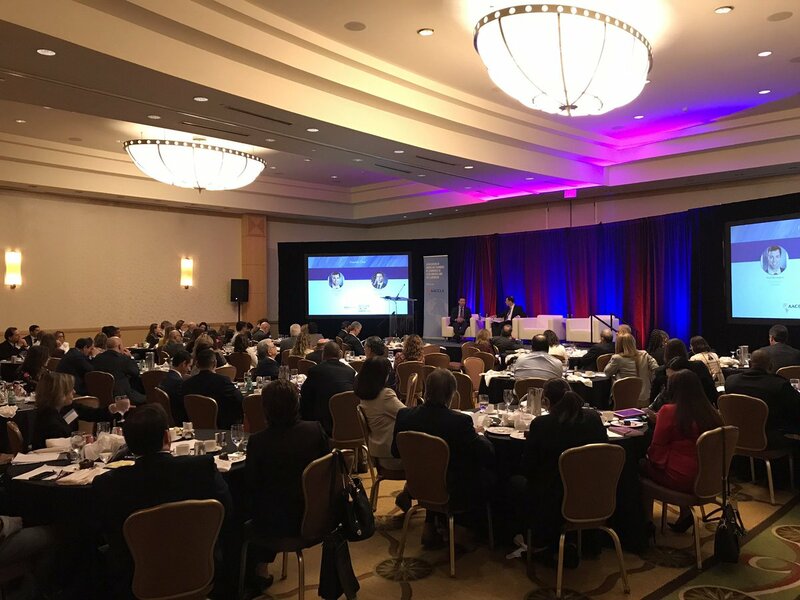 AACCLA’s Chair’s Leadership Circle offers senior executives a unique opportunity to interact with the hemisphere’s most influential private sector and government officials in forums designed to advance the full range of their professional interests. No other organization provides such high level access, such broad business development opportunities, or so many mechanisms for influencing the U.S. and regional political, trade and regulatory agencies. And no other organization offers the ability to do so in such a cost effective manner. 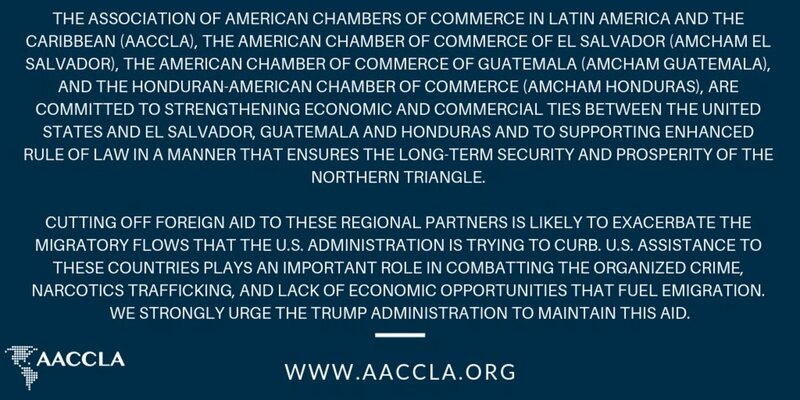 The Chair’s Leadership Circle contribution supports AACCLA’s mission to trade and investment between the countries of the region and the United States through free trade, free markets, and free enterprise. This includes support for effective market access with our FTA partners and others; an ambitious agenda of trade facilitation to make the flow of commerce in the Hemisphere faster, cheaper, and more effective; addressing questions of rule of law, transparency and accountability in the business environment of the continent; raise awareness of the importance of strong intellectual property and of the dangers of counterfeit trade; and highlight the social investments of U.S. companies as pillars of the communities in which they do business. For more information on how to join AACCLA’s Chair’s Leadership Circle, please contact Isabel Quiroz at iquiroz@uschamber.com.